All made to order! Please allow 3-5 working days to finish after receiving payment! 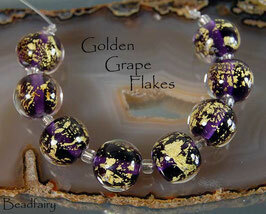 8 Golden Grape Flakes with fine gold! 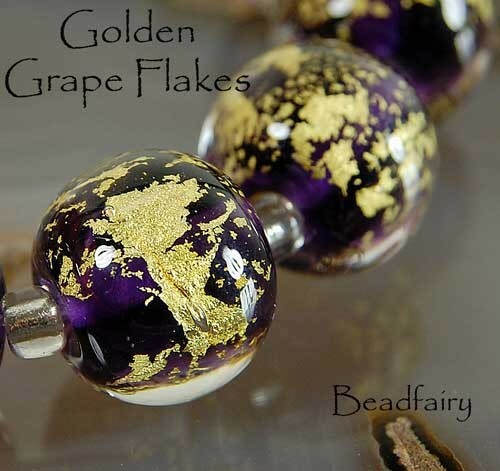 Golden grape flakes spheres are made of Lauscha glass, wrapped in 23K fine gold foil and covered in clear. 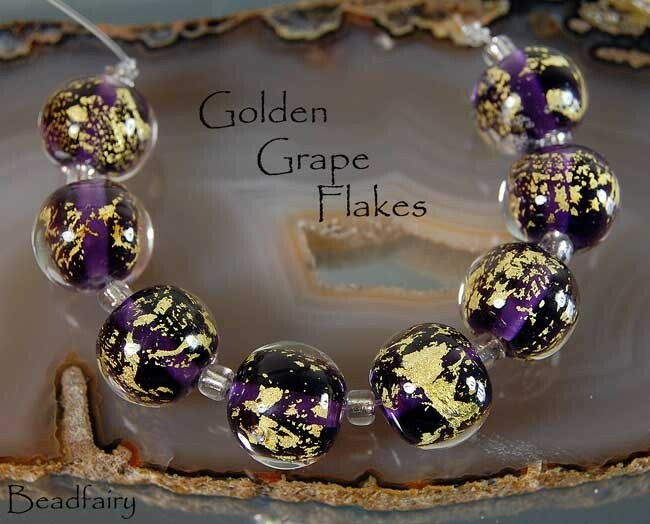 These beads have a great bling!! 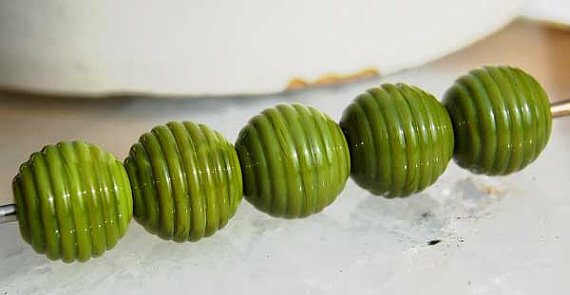 Beautiful organic looking beads, made with Moretti and Double Helix Glass. 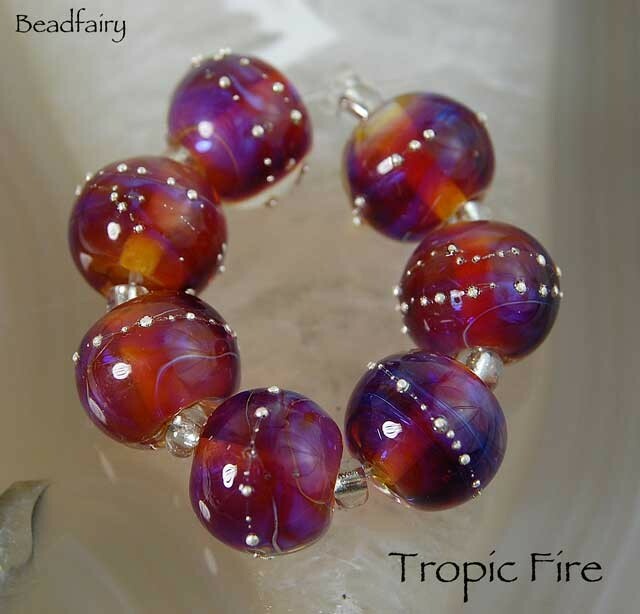 Made with beautiful DoubleHelix glass, encased in clear. 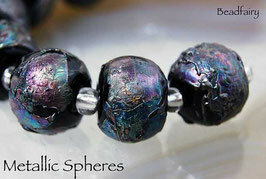 The colors are so gorgeous with a blueish-purple shimmer and seem to have a inner glow. Decorated with fine silver wire. Beautiful light pink/rose colored glass. A set contains 2 beads and is made to order. 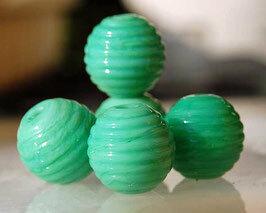 Made on a 2mm mandrel. 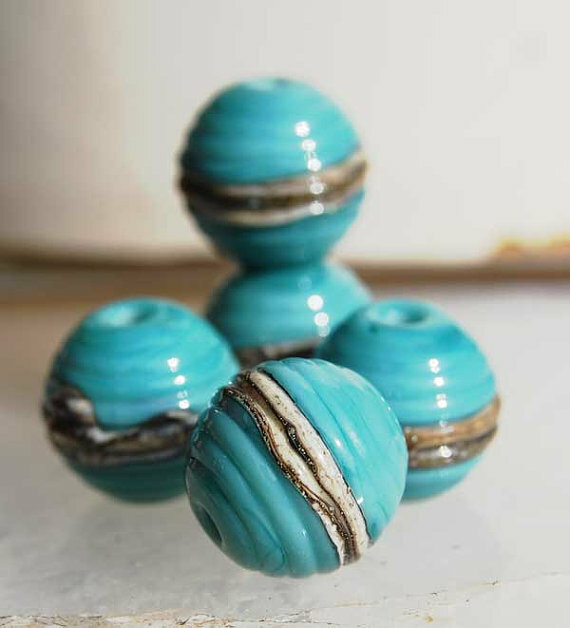 This set is made to order! 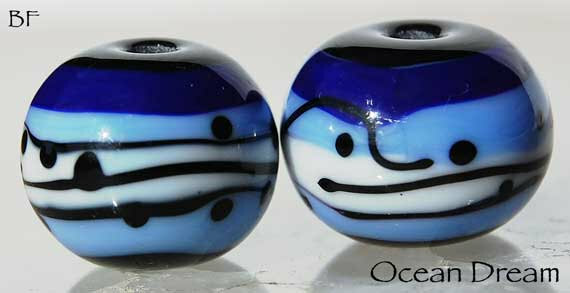 Beautiful sphere glass beads mad with different blues, white and decorated with fine black stringer work. These beads are made to order! Please allow 7 days to finish! 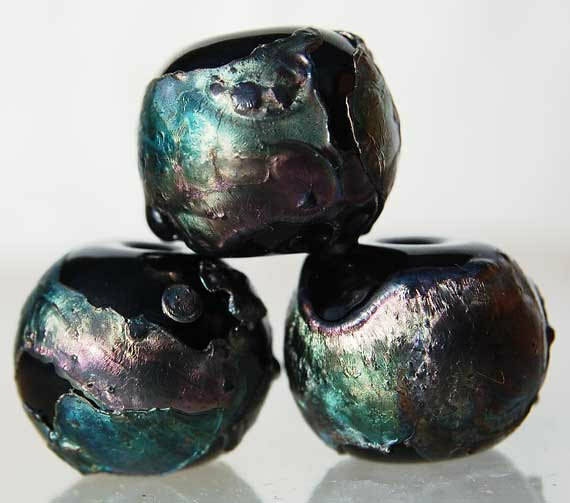 Beautiful black murano glass lampwork beads, decorated with metallic shiny silver glass shards. 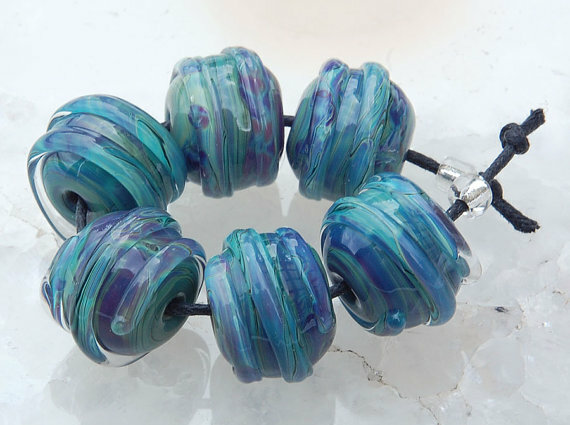 This Set contains 6 Beads and not 5 as shown in the pic!! 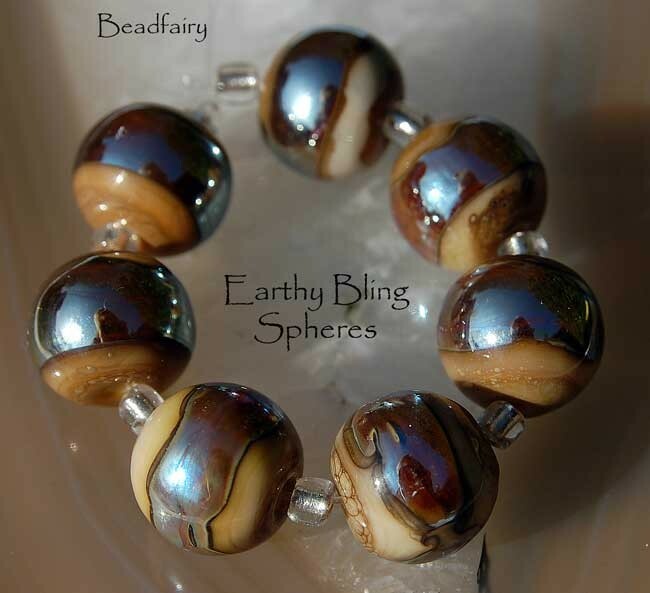 Beautiful organic bead set with a golden-silvery touch for a nice bling. The ribbed surface reflects the metallic sparkle very nice. 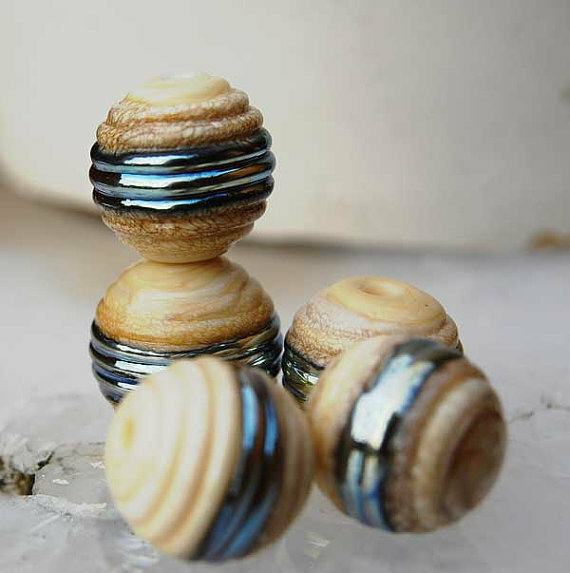 This set is made to order, please allow 5d ays to finish! 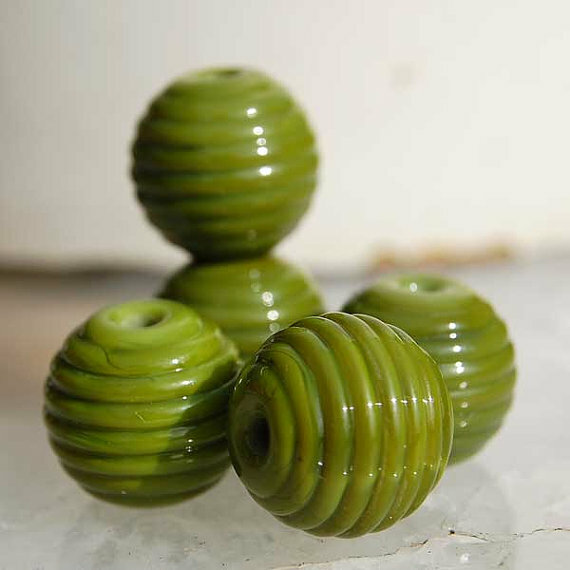 Beautiful olive spheres made of german glass. 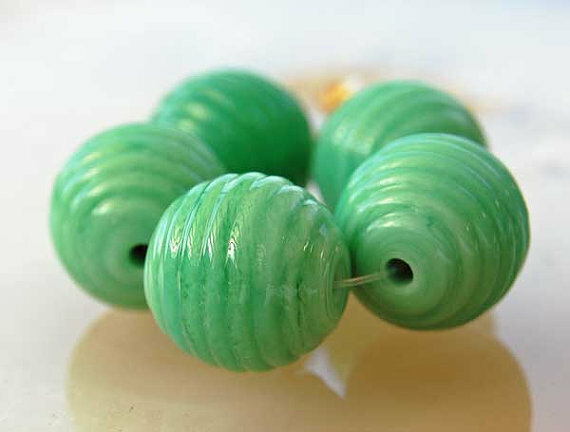 A set contains 5 beads and is made to order! 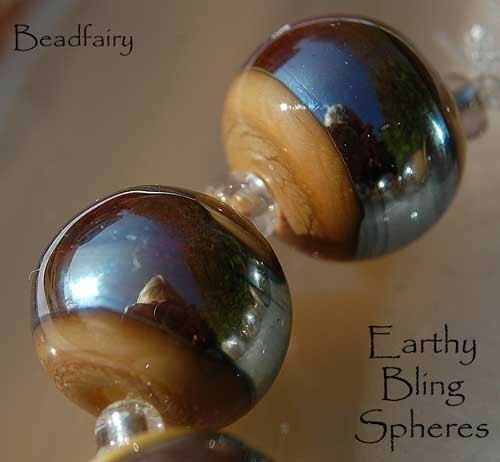 Beautiful spheres made of german glass in a ribbed surface to reflect the light very nice. 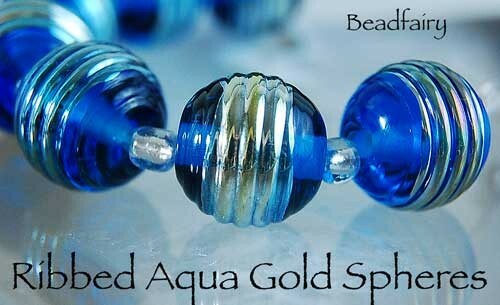 Made of pure silver glass and a clear spiral around the sphere to reflect the colors nicely. Beautiful seafoam color with hues of purple. Beautiful turquoise spheres with an organic silvered ivory touch. The ribbed surface does reflect the light very nice. 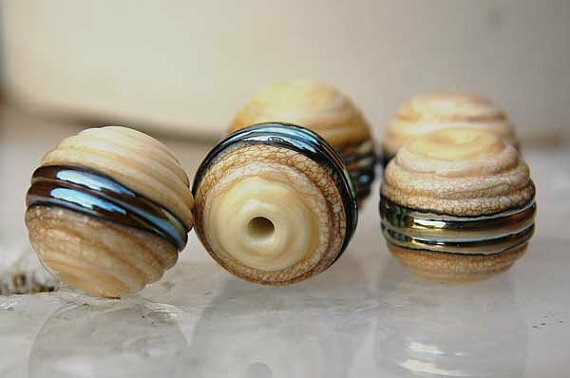 Set of 10 handmade lampwork beads made with a special glass what contains gold inside. 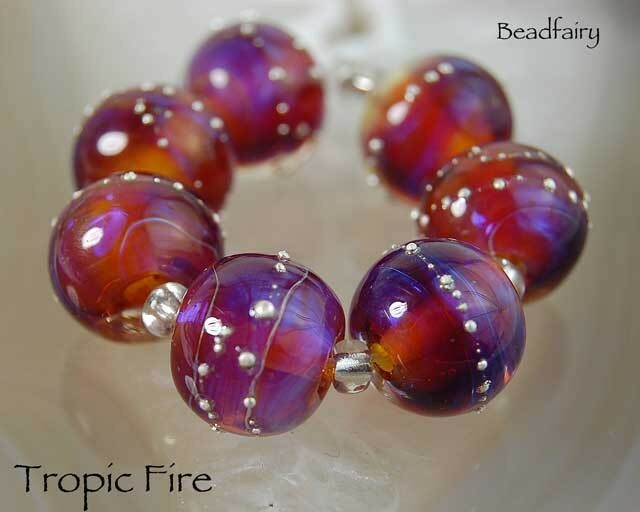 the reflection of the light gives an extra sparkle to the beads. 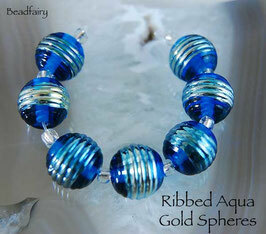 Made with Double Helix glass in silvery-gold metallic color on aqua blue. 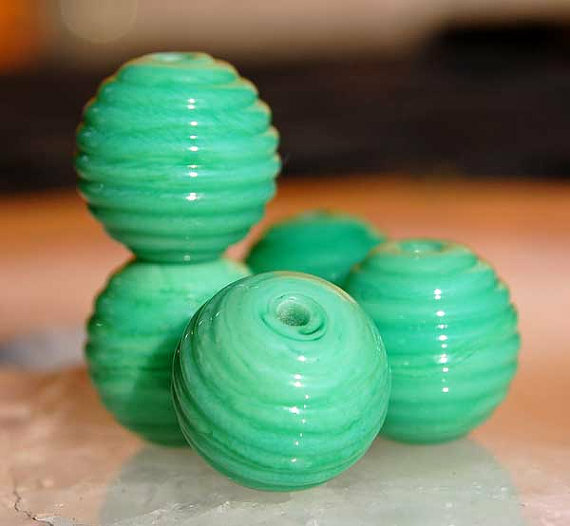 The ribbed surface reflects the colors very beautiful! 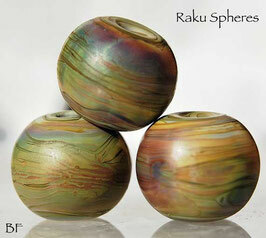 1 Pair or 7 Spheres, you can choose. You get a discount on 7 Spheres! Made with beautiful Reichenbach Raku (Iris Orange) glass. The colors look very organic and vary from brown, green, blue, to purple. The beads are etched for a satin finish. Made of pure silver glass. 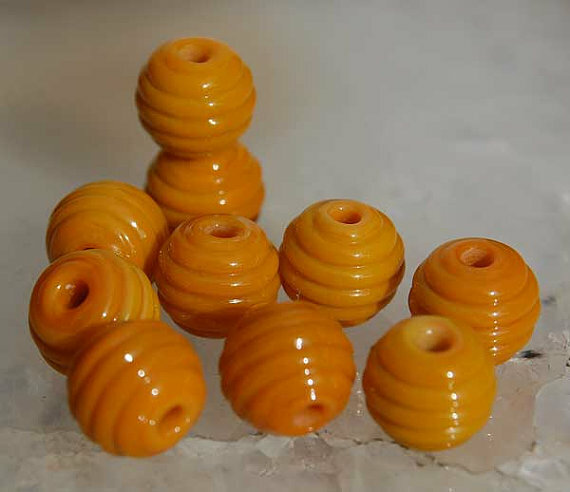 Beautiful Reichenbach Raku (Iris Orange) glass. 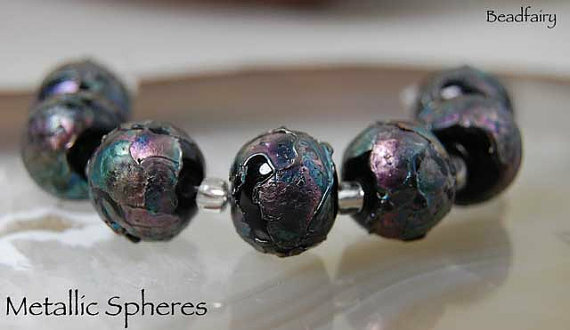 The colors look very organic and vary from brown, green, blue, to purple. 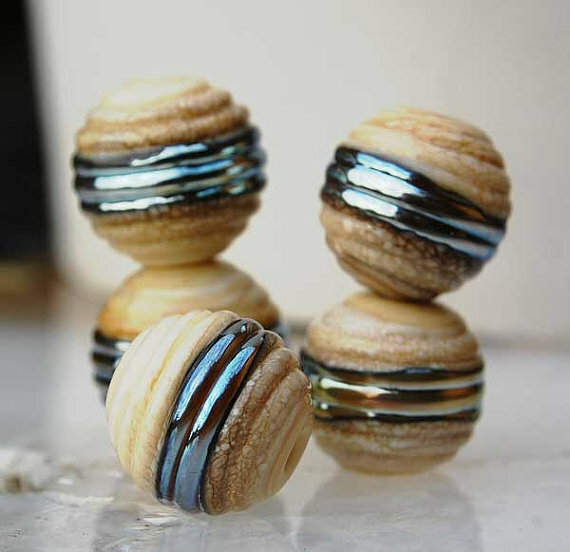 The beads are etched for a satin finish. This set contains 7 spheres and is made to order!